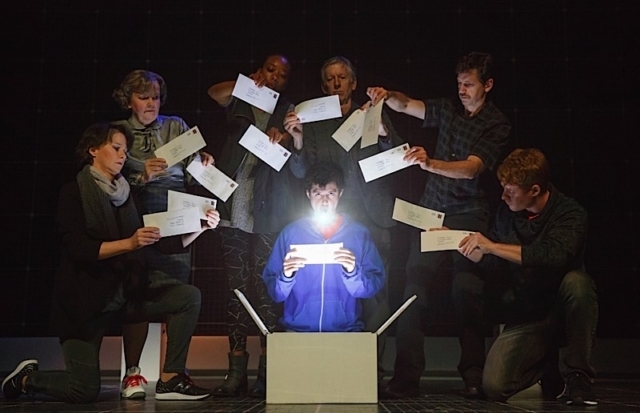 The national tour of the Tony Award-winning production of The Curious Incident of the Dog in the Night-Time now plays in an electrifying short run at the Orpheum Theatre. In one of the most high-octane performances you will ever see, Adam Langdon plays autistic 15-year-old Christopher. From start to finish he rattles off his dialogue with kinetic ferocity. When he finds a neighbor’s dog murdered by a pitchfork, Christopher spins into overdrive to find the murderer. Director Marianne Elliott’s nimble cast briskly and seamlessly embodies the villagers, train passengers, and Londoners he comes up against in his quest for truth. Former Twin Cities actress Felicity Jones Latta (sister of local actress Charity Jones) and Gene Gillette as the parents take two very challenging roles in which the characters could be unfairly and easily seen as unlikable and selfish, and give us two tormented human beings at their wits’ end, deeply anguished about the daunting difficulties their son must endure on an ongoing basis. This is as much or more about the moving brilliance of Latta and Gillette as the script. Simon Stephens adapted Mark Haddon’s novel by the same title for the London stage. 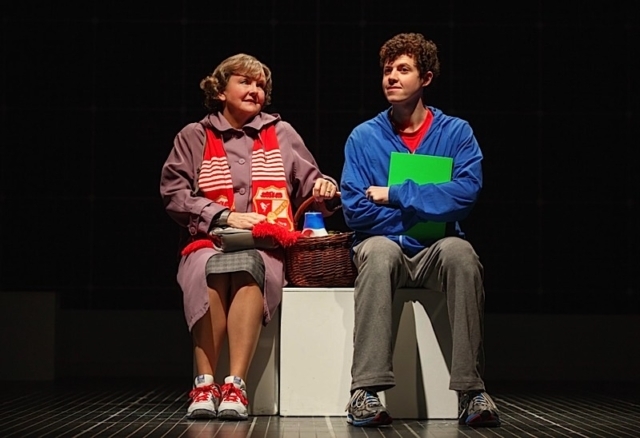 The play is groundbreaking for its depiction of autism and is served to beguiling effect by Bunny Christie’s set, Ian Dickinson’s sound, Finn Ross’s video design, and Paule Constable’s lighting. These dazzling technical elements reinforce the manic confusion and fears raging through Christopher’s hyper-intellectual mind. Images of tube (subway) station names and overbearing sounds seem to attack our eyes and ears in the same way they would for Christopher. An exceptional blend of empathy on the part of those creating the high tech effects and profoundly human acting.